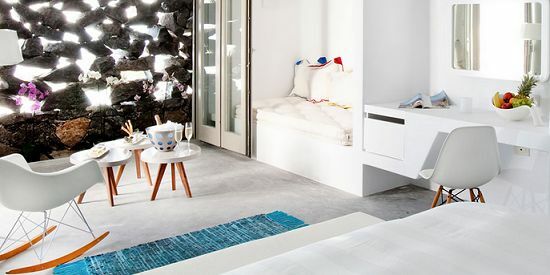 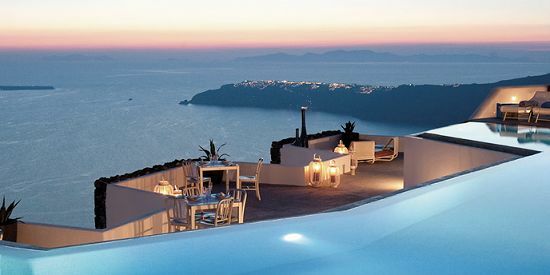 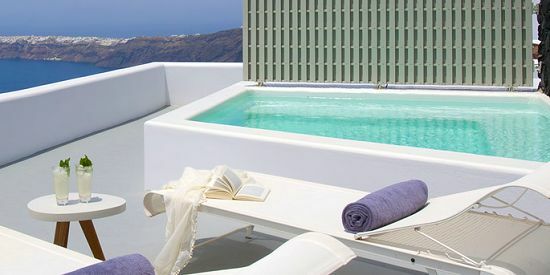 Located in the beautiful setting of Imerovigli in the northwest of the island, high above the Caldera, the Santorini Grace is the perfect vantage point from which to view the famed Santorini sunsets. 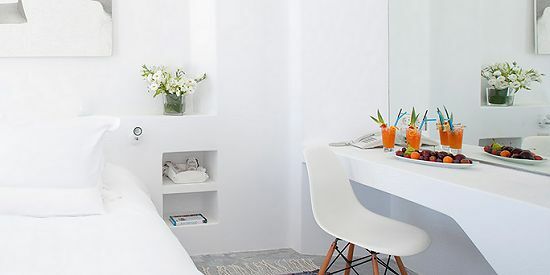 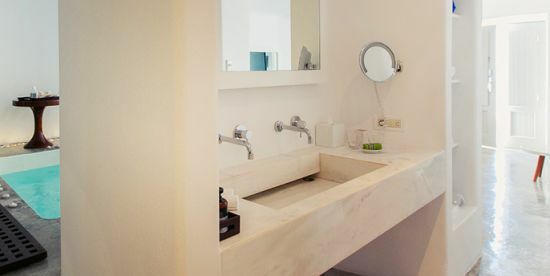 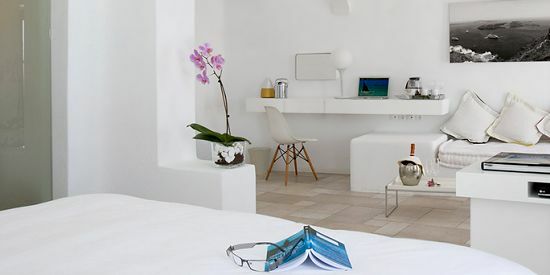 This graceful boutique property with its individually styled suites and rooms, appeals to those seeking a relaxing and romantic escape. There are nine luxuriously appointed rooms and suites, each with inspired comforts, designed individually in the softest colours, created for the relaxation of discerning guests: Deluxe Rooms with plunge pools, Superior Suites facing the sea, Junior Suites with spectacular views and the ultimate in exclusive accommodation, the Honeymoon Suite and the Grace Suite. 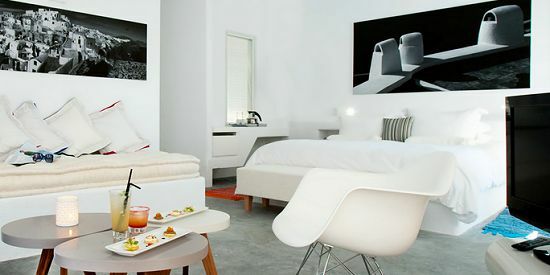 Room facilities include: full air-conditioning, direct-dial telephone with voice mail, hairdryer, lady’s vanity unit, tea & coffee maker, Wi-Fi, flat screen satellite TV and & DVD; king size beds in all rooms and suites, en-suite bathrooms, luxuriant bed linens – summer goose-down duvets – alternative bedcovers, pillow menu of 6 choices, Korres luxury bathroom amenities, sumptuous bathrobe and slippers, Eco Nature pool bag; oil burning vaporisers fill the room with guest selected fragrances. 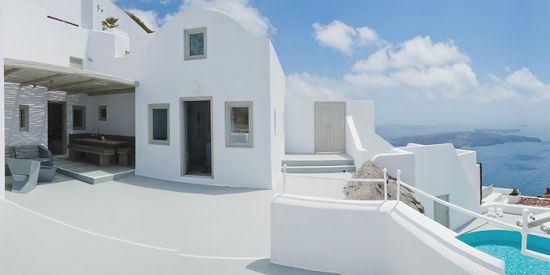 The property has a swimming pool (guest use only) with comfy double loungers and a pool bar serving cocktails and refreshments with inspired light meals as well as an intimate restaurant with high domed ceiling or al fresco, offering starlit dining overlooking the Aegean sea.